remodeling, replacement, and repair, for use in the performance of investigations. contending parties, addressing all alleged complaint items. Testifies in Board hearings. immediate action to correct the problem. 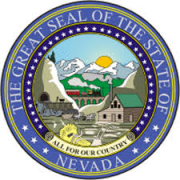 Demonstrate knowledge of the provisions of NRS 624 and the building codes for use in Nevada. and be insurable as a driver under a motor vehicle liability policy obtained by the Board. building codes for use in Nevada. Please let us know how you became aware of this job opening.